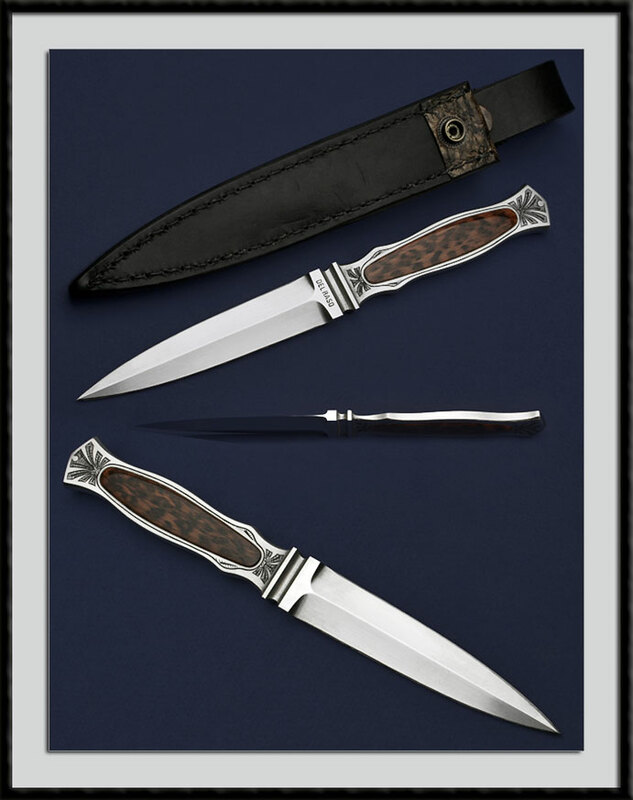 A Integral Inter-Frame Dagger by Peter Del Raso from Australia, BL = 4 3/8", OAL = 8 7/8", Flawless Double Hollow ground 440C Satin Finished Blade and Frame, Snake wood Inlays, Engraving by Fellow Aussie Phil Vinnecombe. Fit and Finish are of the Highest Quality. Comes with the custom belt sheath pictured. Except for a few very minor handling marks on the clear coat of the inlays, the Condition is Mint.